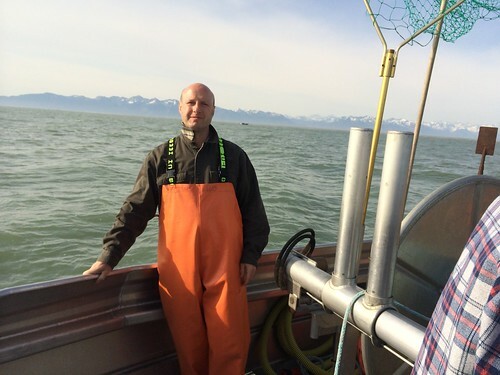 On Wednesday morning, May 14th, our fish team made up of David, Jeff and I headed out on the Prince William Sound, the day before the opening of the Copper River salmon season. Aboard Captain John Horton’s boat, Reel Force, we set out to learn about the local species. Landing halibut, Alaskan red snapper and various cod species gave us a greater appreciation and understanding for the very same fish we sell to customers. 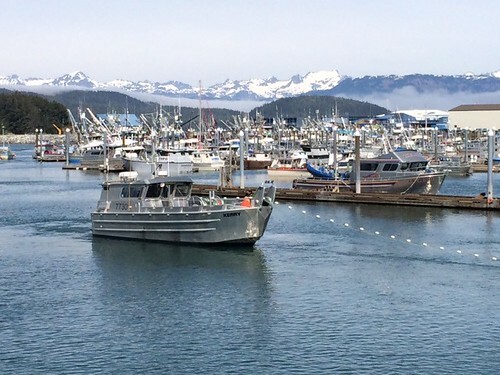 On the way back in, after 10 hours of fishing, our team received a call from Scott Blake, owner and CEO of Copper River Seafoods, that his dad had one last spot available for someone to join him at sea for the salmon season opener the next morning. David, Jeff, and I drew straws and I won the honor of joining the crew on Captain Peter Blake’s gill net salmon boat out on the Copper River Delta. On board, I met, Taylor, third-generation fisherwoman and her grandfather Peter, Scott’s dad. Three generations of Blakes were focused on the season’s opener and the anticipation of whether the season would be successful was high. Another three hours out to the fishing grounds, under both a late-night setting sun and full moon, Peter used his 45 years of fishing experience to pick out the precise location where they would drop our nets and start fishing for the new season the next morning. After a few hours of sleep they woke up to sightings of humpback whales breeching the water and sea lions, both unwanted neighbors to an eager salmon fisherman. 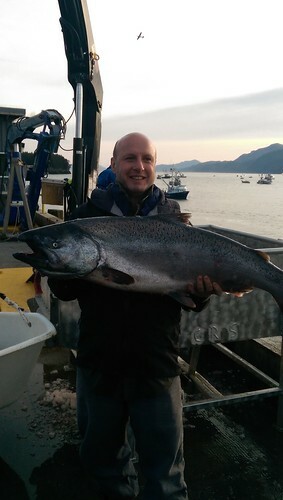 At 7 AM sharp, fisherman dropped their nets and began the first salmon catch. Nets are highly regulated in length, width, and mesh size to best limit by catch and ensure the sustainability of the fishery. The net was repeatedly let out and drawn in on an hourly basis, with Peter and Taylor prepared to bring in enormous king salmon, which can easily break from the nets as they are brought out of the water. After 12 hours of fishing, all nets were reeled in and the fleet headed back to port. At the dock, the caught salmon was pulled from the icy hold of the boat and offloaded where it was weighed and sent next door to the processing plant. A receipt for the days catch was given to the captain and then they were off again, after more than 30 hours of work, to wash down the boat and get ready for the next scheduled opening.The next morning our team flew with the fish (in cargo) to Anchorage where it would be further packaged and shipped off to FreshDirect that very day! Shop the freshest, wild Alaskan salmon now!